Farnworth Rose pledged their support to Scott for his eighth run of the season to Crystal Palace FC. Futaba Manufacturing UK pledged their support to Scott by agreeing to cover his expenses for one of his runs. Unique Campers pledged their support to Scott by providing a camper van as his support vehicle for his run to Cardiff City FC. 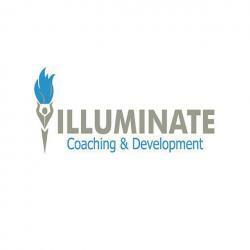 Illuminate Coaching & Development pledged their support to Scott by providing psychological support on all of his runs. Secret Training pledged their support to Scott by providing the nutrition for all of his runs. Juice Plus pledged their support to Scott by providing him with post-run recovery shakes on all of his runs. Utility Warehouse’s Kath Bell pledged their support to Scott by providing him with a support vehicle for his run to Manchester City FC. Sew Simple pledged their support to Scott by providing t-shirt printing for all of his runs. Human Hardware pledged their support to Scott by providing DNA Biometric Testing for all of his runs, helping him recover in the best possible manner. +24 Marketing pledged their support to Scott by providing this very website and social media support to market all of his runs. Batch Gin pledged their support to Scott by providing free bottles of gin for him to giveaway in social media competitions and therefore build his social media followers total around the country.